Less=more and limits are good! People are taking to the streets for a new type of graffiti, more inconspicuous, more joyful and definitely more plush. 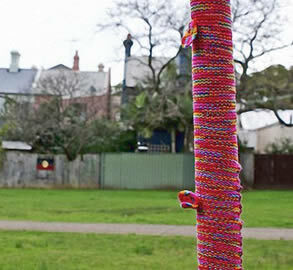 It's called urban knitting and I'll let the pictures do the talking. There's also a flickr group which you may want to visit.